The shadow quads come in black compacts with a super shiny gold lid. Each shadow is decently sized (1.2g each) and there are two double sided sponge applicators included with the palette. 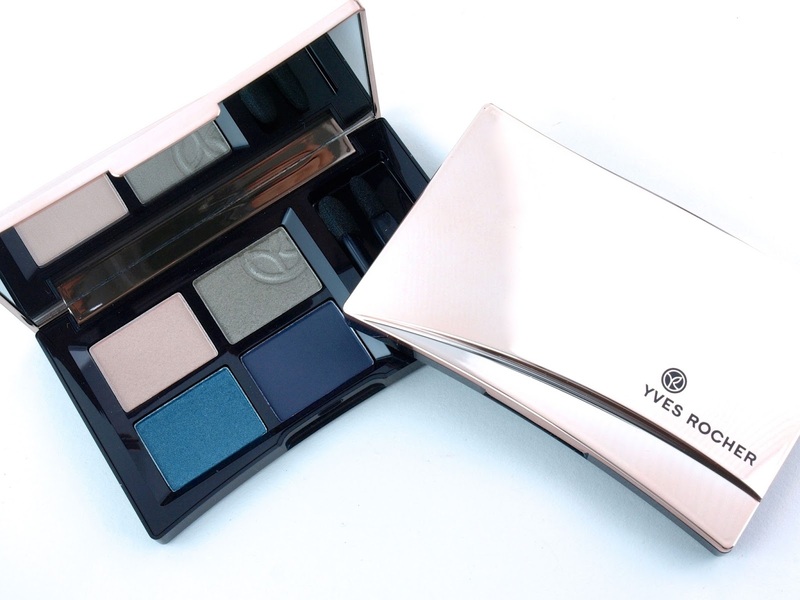 Yves Rocher recommends that the shadows be used dry for a more natural look and wet for a more intense look. As I've mentioned in previous posts, I am not a fan of using shadows wet because the texture never works quite as well dry after it touches liquid. 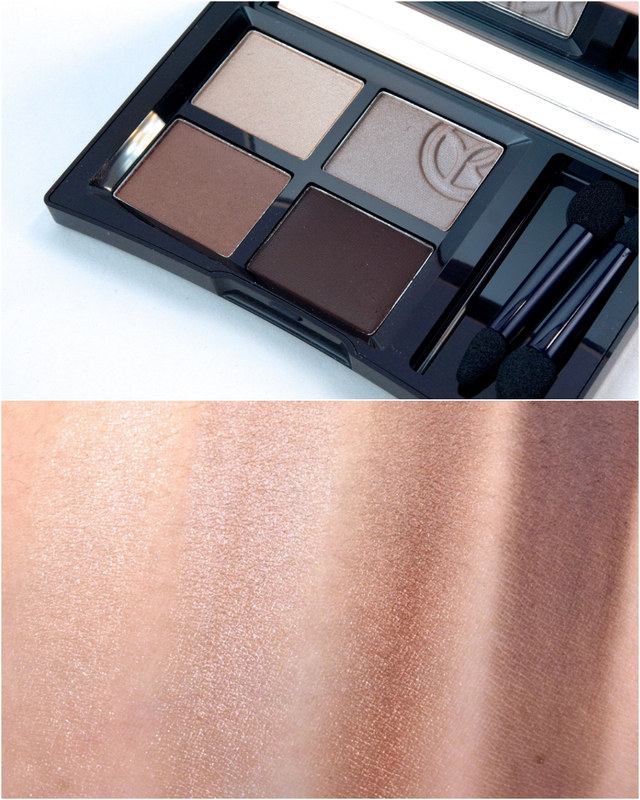 Nevertheless, these shadows in the palette are quite pigmented and smooth when applied dry. I did notice that the light shimmer in both "03. Aquatique Subtil" and "06. Brun Incandescent" are very shimmery and not super pigmented. The mattes in both palette have a reasonably good formulation that's not too dry or chalky. 03. 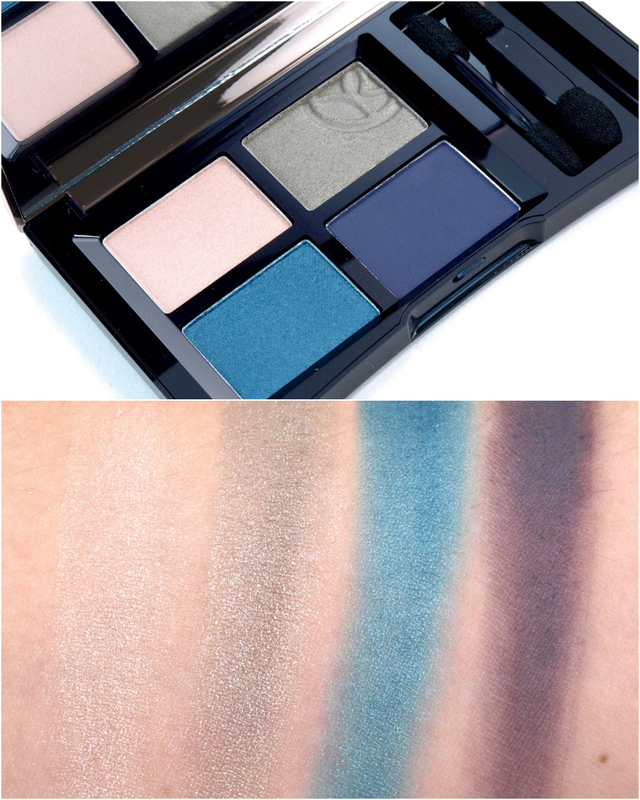 Aquatique Subtil; the blue in this one is quite gorgeous (and very pigmented). 06. Brun Incandescent; I found the two lighter shades to be super shimmery but not very pigmented. I think these are decent palettes, they didn't wow me but I enjoyed the inclusion of a matte shade in each palette and the overall smooth and velvety formulations. And of course, because the colors in each palette are complementary, they are a no brainer for makeup beginners or those that are always in a hurry. 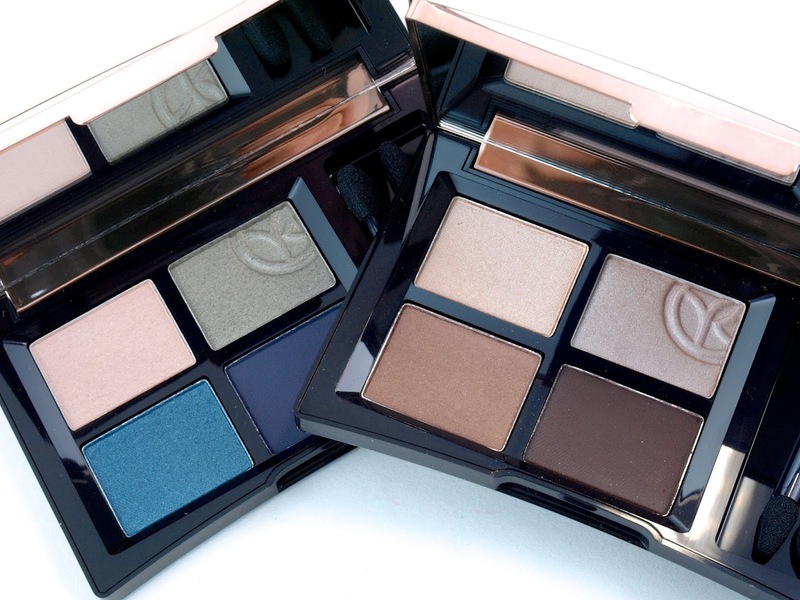 The new Quad Eyeshadow Sumptuous Color palettes are available as of September 2014 online and in stores at Yves Rocher.